MECHANICAL MAN!!! 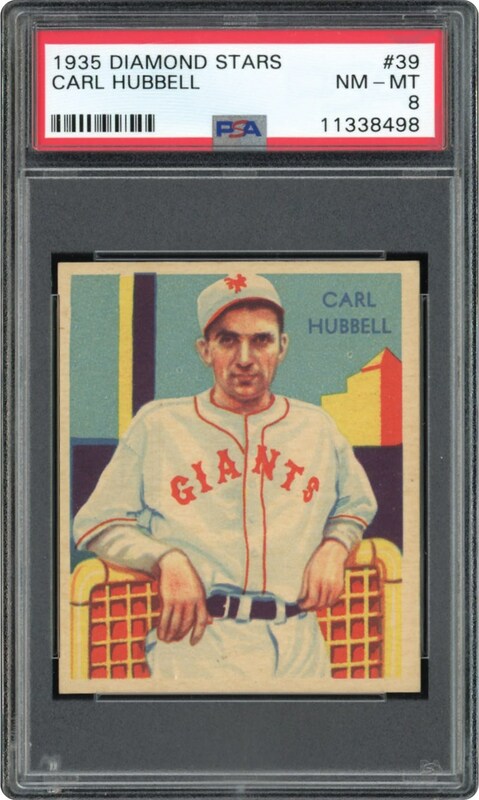 One of the Hall of Fames greatest pitchers, Carl Hubbell dazzled us for years with his screwball. 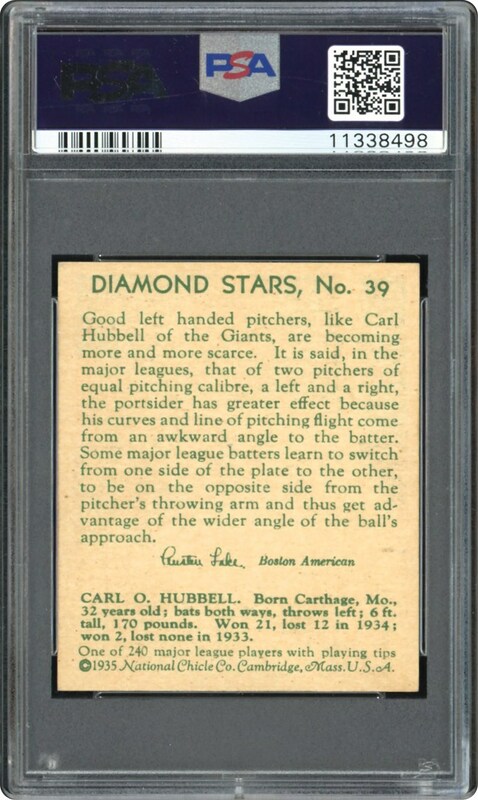 This Diamond Stars card is a strong NM-MT 8 card. A Tough Card!! !